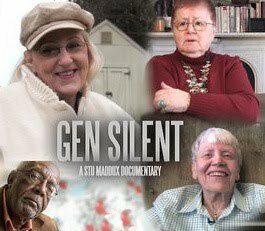 In this exclusive audio interview montage Emmy Winner Charlotte Robinson host of OUTTAKE VOICES™ talks with members of the Boston LGBT community at the premier of Director Stu Maddux new film Gen Silent. In this new groundbreaking documentary Maddux puts a face on what experts in the film call an epidemic: gay, lesbian, bisexual or transgender seniors so afraid of being subject to discrimination, or worse, in long-term/health care that many go back into the closet. Their surprising decisions are captured through intimate access to their day-to-day lives over the course of a year in Boston, Massachusetts. We interviewed Bob Linscott, Assistant Director, LGBT Aging Project, Sue Reamer, PHD, Co-Chair Stonewall Communities, David Aronstein, Founder of Stonewall Communities and his partner Steve Tamasy. We also talked with Sheri Barden and Lois Johnson who have been together for over 40 years, legally married in Massachusetts and featured in Gen Silent. Filmmaker Stu Maddux was on hand for an intimate reaction to the premier of his film. The team at Gen Silent is requesting as many end of year tax-deductible donations as possible this month to create a teaching version of Gen Silent by Spring. It is crucial that this film becomes mandatory viewing for paid caregivers as part of their continuing education requirements. Then we'll have a chance to change lives and the future of our LGBT seniors. You can make your gift conveniently on their website. "gay, lesbian, bisexual or transgender seniors so afraid of being subject to discrimination, or worse, in long-term/health care that many go back into the closet." I find this idea so strange from the stance of my experience living in London as a senior. My partner and I are well-respected on our street, almost like safe uncles who are approachable. I have lots of health issues so see many health professionals with whom I am 100% about sexual habits and life-style. ; for example, in a gastric tract examination by a woman practitioner in muslim headgear, I volunteer information about sexual practice. The response is relief about my openness and confidence because she has full information for her work. If I were fearful then I believe that people would respond appropriately and I would begin to gather experiences which would drive me into the closet. I just came back from London where we interviewed Tris Reid-Smith from the Pink Papers. He explained how the UK has civil partnerships that provide the same rights & protections for gay couples as heterosexual couples. Here in the US we don't have federal protections at all and are at the mercy of care professional to be civil and respectful to our LGBT seniors. I know that "Don't Ask Don't Tell" is important but I'm personally more concerned about social security benefits and other federal protections for myself and my spouse if one of us has health issues or dies. Until we have marriage equality we're totally vulnerable. Thanks for this wonderful Outtake! I've been at a number of screenings of Gen Silent. 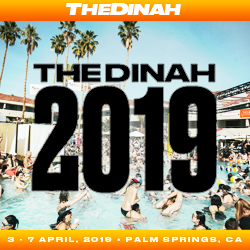 It's been receiving incredible acclaim and awards all over the country. It's a real wake up call to so many people who hadn't thought about the very real challenges of aging, especially in the LGBT community.